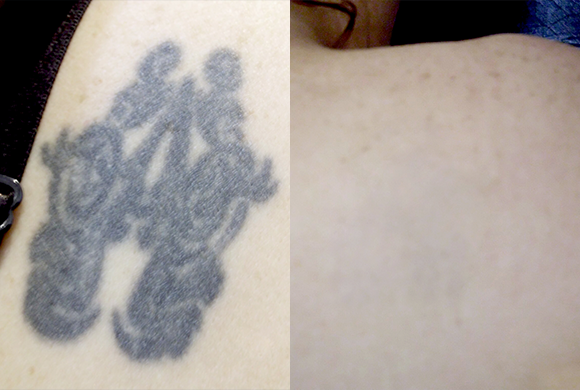 There are many laser tattoo removal machines available. We researched all options to find the best so that you are guaranteed the best results in Brisbane. An exclusive characteristic of the ND:Yag Q-Switched laser is the square and flat top laser beam profile. The laser profile is provided by the OptiBeam technology. This allows for much safer and effective treatment with no scars. The energy is delivered over the entire square spot area. This allows for very precise covering of the treatment area and helps to avoid excessive overlapping of pulses. The images below shows the placement of the laser spot. As you can see, it is easier to place it side by side and offers total coverage with even energy distribution and no hot spots. Comparatively, the circular spot must be overlapped to cover the entire area. Also the energy distribution in the circular spot can create ‘hot spots’ in the centre of the circle which can result in burns, keloids and scarring. What should I expect when I get my tattoo removed? Once you have decided to have your unwanted tattoo removed, there are a few things that you can expect from the process. Between the laser treatments, and your body’s immune system, the unwanted tattoo will be removed over a series of treatments. Depending on the type of the ink that is used (as well as how deep the ink is) and the age of the tattoo, you can expect to have at least 10 treatments on a standard business card size tattoo. 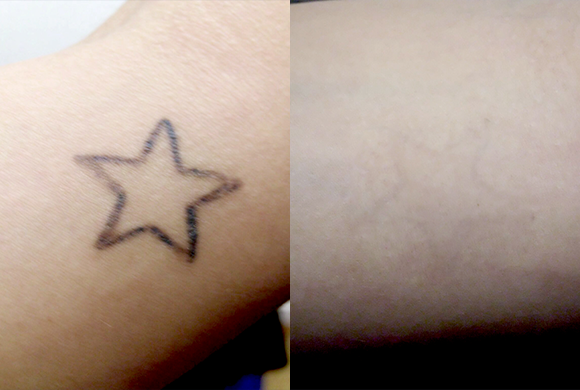 Within each treatment the laser shatters the pigment within the tattoo into smaller particles. You will see a whitening of the skin with mild swelling and bruising. This is temporary. Your skin colour will return to normal in due course. Multiple treatments are necessary. Your skin will need to heal before the next treatment session can begin. This can take an average of 6 to 8 weeks. 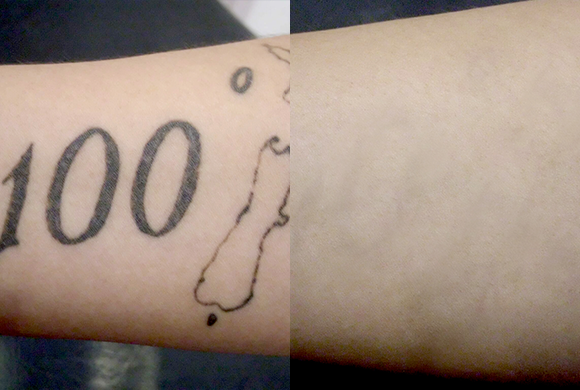 Some tattoo may NOT be completely removed. Some colours are harder to treat than others, so they may require alternate treatments, or more sessions. 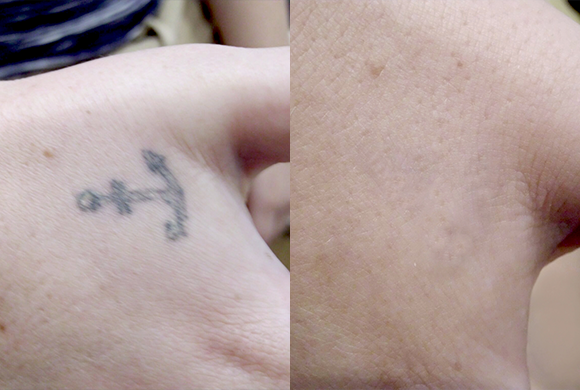 So many people are looking for a partial fade so that they can cover up their unwanted tattoo with a new one. Tattoo colour takes some time to fade as the immune system slowly and progressively removes the shattered and relatively loose ink particles during this period. So you would like to get started? Your therapist will be happy to discuss this procedure with you once you book a consultation appointment where you will be able to discuss your specific needs, contra-indications, etc. 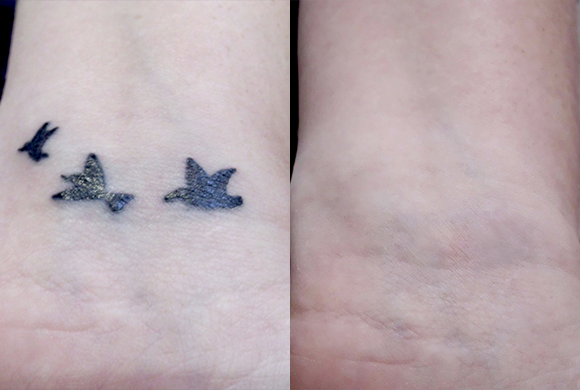 As each pigmented lesion or tattoo is different, there is not a ‘one size fits all’ pricing guide. Your specific treatment price will be agreed upon within your consultation appointment. 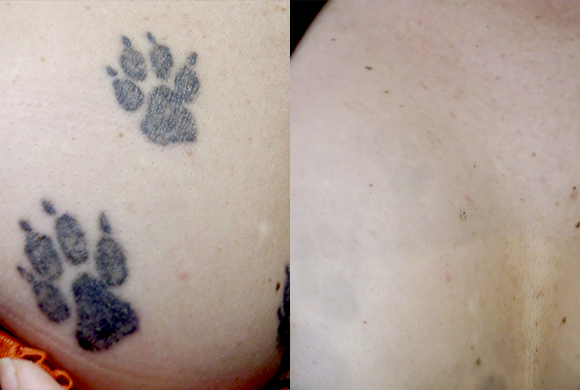 Just as the Clinical Q-Switched laser removed tattoos with ease, you can also have your pigmentation removed just as easily, usually with less sessions. Come in for a consultation to discuss your needs. Again, as with tattoo removal, we strongly recommend an aftercare program for you that will assist in faster healing and repair of your skin.